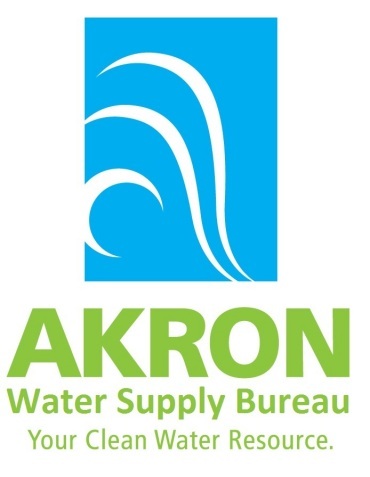 The drinking Water Supply Bureau consists of 3 divisions which provides watershed protection, drinking water treatment and drinking water distribution to the citizens and businesses of Akron as well as many neighboring communities. Each division is listed below along with a brief description of their responsibilities. Click on the name of each division to learn more. Operation and maintenance of multiple pump stations, finished water holding reservoirs, elevated tanks and standpipes. Industrial and residential meter reading and backflow protection. Learn about your water lines and how Akron Water Supply optimizes the treatment process to protect our customers from risks associated with Lead Pipes, Plumbing, and Solder. This map is meant to share information with our customers about where we believe there is lead in the Akron Water System based on available data. The 2017 CCR is available at www.akronohio.gov/water/ccr. This report has information about the source and quality of your drinking water. A paper copy is available upon request by calling: (330) 375-2748. Previous Reports are available at www.akronohio.gov/cms/Water/CCR/index.html. To deliver to the public an ample supply of high quality water that exceeds all regulatory requirements now and in the future.